Converting legacy content to DITA and optimizing reuse potential to ensure content quality and consistency across the enterprise is high on most organizations’ to-do list when implementing DITA. So what tools are available to help ID professionals and where do you start? Join Stilo’s Conversion Services Manager, Helen St. Denis, for this DITA Knowledge Series webinar to learn more about Stilo’s Migrate cloud DITA content conversion service and OptimizeR, a DITA content optimization tool. Discover just how easy it is to automate the conversion of content to DITA and, following analysis, optimize DITA content for consistency and reuse. Migrate is a cloud service that enables technical authoring teams to automate the conversion of content to DITA and custom XML from source formats including Word, FrameMaker, Robohelp, InDesign and XML/SGML/HTML.Migrate provides greater control over conversion quality, immediate turnaround times and operates on a pay-as-you-use basis. OptimizeR is a content optimization tool that enables you to automatically identify reuse potential across your DITA content and publish more consistent content, faster. Whether you’re embarking on the conversion of content to DITA for the first time, or have existing DITA content that you would like to evaluate for additional reuse opportunities, OptimizeR can help. Stilo International plc (“Stilo”, the “Group” or the “Company”) today announces its results for the year ended 31 December 2018. The Company develops software tools and cloud services that help organisations create and process structured content in XML format so that it can be more easily stored, managed, reused, translated and published to multiple print and digital channels. Sales revenues of £1,487,000 (2017: £1,894,000). Profit after tax of £177,000 (2017: £313,000). Reduction in operating costs, net of capitalised development costs, to £1,358,000 (2017: £1,591,000), primarily due to favourable currency exchange rates. Investment in total product development of £583,000 (2017: £656,000) of which £213,000 capitalised (2017: £213,000). Cash of £1,271,000 as at 31 December 2018 (2017: £1,621,000), with reduction largely due to continued investment in development projects and dividend payments to shareholders. Final dividend proposed of 0.06 pence per Ordinary Share, providing a total dividend of 0.12 pence for the year (2017: total 0.10 pence). Total sales revenues for the period decreased significantly, principally due to an expected reduction in OmniMark-related revenues from one major customer. Migrate revenues held up well given the expiry of a significant contract from earlier years. Customers during the period included Edwards Lifesciences, Visa, Viewpoint, ARRIS, Synopsys, Deltek, Varian and TIBCO. AuthorBridge beginning to get traction with new customers including Kaplan Professional, Intel and Coriolis. Initiated the development of OptimizeR – a new tool to help customers deduplicate their DITA content, improve content consistency and maximise the opportunity for content reuse. “Total sales revenues for the period decreased significantly, principally due to an expected reduction in OmniMark-related revenues from one major customer. However, it was encouraging that our Migrate revenues held up well, as new customer wins compensated for the expiry of a major contract. We were also successful in making some initial breakthroughs with sales of AuthorBridge to new customers. Given our size, we continue to incur significant financial overheads associated with being a public listed company, but notwithstanding this we were able to generate a post-tax profit for the period of £177,000. The Company continues to invest in the development of leading technologies for the structured content market and in so doing build long-term value for shareholders. As we look forward to growing future sales, supported by healthy cash reserves and a strong balance sheet, I am pleased to announce the payment of an increased final dividend of 0.06 pence per share, providing a total dividend for the year of 0.12 pence”. Download a PDF of the full 2018 preliminary results announcement. 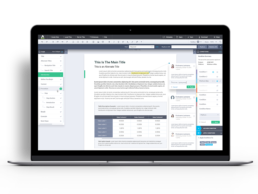 Stilo develops software tools and cloud services that help organisations create and process structured content in XML format, so that it can be more easily stored, managed, reused, translated and published to multiple print and digital channels. 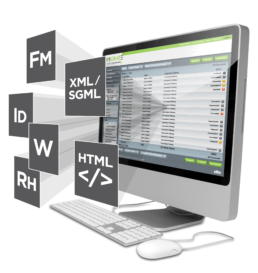 Over recent years, many organisations have adopted industry specific XML standards e.g. Publishing (DocBook), Aerospace & Defence (S1000D), Finance (XBRL), Life Sciences (SPL), Scientific and Scholarly Publishing (JATS), Software and High Tech (DITA). Stilo made the decision some years ago to focus new product development and marketing efforts on the emerging DITA standard. This standard originated within IBM to support the publishing of its technical documentation and has been increasingly adopted by other software and high tech companies. DITA is now beginning to make inroads into additional market sectors including Manufacturing, Life Sciences and Publishing. In early 2018 we undertook some exploratory development and marketing efforts for the JATS market but these were put on hold mid-year in order to focus resources on the major release of AuthorBridge v3 for the DITA market. In the medium term, given limited resources, we will look to diversify beyond the DITA market through potential partnering opportunities and the incremental development of AuthorBridge, Migrate and OptimizeR. Users include Pratt and Whitney, Airbus Defence & Space, Clarivate Analytics and Wolters Kluwer. Sales for the year included orders from the European Parliament, Japan Patent Office, Qantas and Gulfstream. Migrate sales for the period include orders from Edwards Lifesciences, Visa, Viewpoint, ARRIS, Synopsys, Deltek, Varian and TIBCO. Using Migrate, we have helped our customers convert over one million pages of content to the DITA standard. Complementing Migrate, OptimizeR is a tool that we are developing to help automate the deduplication of DITA content, improve content consistency and help maximise the opportunity for content reuse. This can be particularly important in highly regulated or hazardous environments. In 2018 the tool was in the research and early development phase with all expenses recognised in the profit or loss. Initial customer testing is due to start in the coming months and we expect to make OptimizeR generally available to customers mid-year 2019. AuthorBridge is a web-based XML authoring tool, designed for content contributors who have no knowledge of XML or its complexities. It is currently targeted at large enterprises, which are looking to extend the use of DITA across different business units and potentially support hundreds of users. The development of AuthorBridge has been a major effort over several years, culminating in the release of AuthorBridge v3 in early 2019. This release helps position AuthorBridge at the forefront of web-based DITA editing tools, albeit there are some additional developments that we need to undertake to round it off. 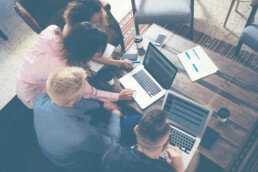 Its initial deployment in production at IBM, following extensive co-operation and testing by the central IBM Information Developer Tools team, serves as a good foundation upon which we can build future sales. Other early stage customers include the Nuclear Regulatory Commission, Intel, Kaplan Professional and Coriolis. North America continues to represent a significant proportion of sales revenues as adoption of the DITA standard has been primarily led by corporations with their headquarters based in the USA. It is anticipated that adoption of the DITA standard will spread internationally over the coming years. There is a high level of synergy between our products which results in very efficient integrated development and support activities. As at 31 December 2018, there were 18 permanent employees in the Group, complemented by the use of contractors. It is not anticipated that we will be growing headcount significantly, as we look to contain our costs and scale the business through technology sales. The results for the year ended 31 December 2018 have been prepared in accordance with the recognition and measurement principles of International Financial Reporting Standards as adopted by the European Union. In 2018, the results for Stilo show a decrease in EBITDA to £148,000 (2017: £315,000). Post tax profits were £177,000 (2017: £313,000). Total sales revenues for the year decreased to £1,487,000 (2017: £1,894,000), principally due to an expected reduction in OmniMark-related revenues from one major customer. The Group continued to benefit from recurring revenue from software maintenance contracts of £816,000 (2017: £930,000) which represents 55% (2017: 49%) of annual sales revenue. The Group continues to maintain careful control over operating costs. Operating expenses, excluding capitalised development costs, were reduced to £1,358,000 (2017: £1,591,000). This decrease has been driven by a fall in staff costs and favourable currency exchange rates in the current year. Investment in research and development continued in 2018, with total expenditure for the year of £583,000 (2017: £656,000). As a result of this investment, Stilo continues to benefit from research and development tax credits. Of this expenditure, £213,000 (2017: £213,000) relating to the development of AuthorBridge has been capitalised, and the total accumulated capitalised costs will be depreciated over a 10 year period, commencing in 2019. There was a cash balance of £1,271,000 as at 31 December 2018 (31 December 2017: £1,621,000), with the reduction being largely due to continued investment in development projects and dividend payments to shareholders. Stilo remains entirely un-geared. This Statement of Financial Position stability provides a sound financial base for the Group and will support continued investment in product development, sales and marketing. Costs will continue to be carefully managed in order to maintain cash reserves at a satisfactory level. Total trade receivables were £224,000 (2017: £126,000), equating to 55 days (2017: 24 days). Overdue amounts are closely monitored. The directors monitor the performance of the Group based on the above key performance indicators. The Board recommends the payment of a final dividend for the year of 0.06 pence per Ordinary Share which, if approved by the shareholders at the AGM on 23 May 2019, will be paid on 30 May 2019 to shareholders on the register on the Record Date of 23 April 2019. 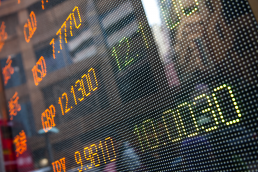 The shares will be marked ex-dividend on 18 April 2019. If approved, payment of the final dividend will bring the total dividends paid to shareholders for the year to 0.12 pence per Ordinary Share. 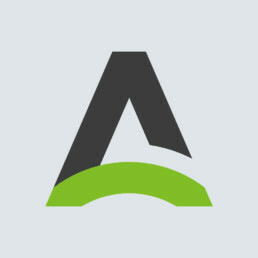 The long-awaited release of AuthorBridge v3 in 2019 provides for a best-in-class, web authoring tool for the DITA market. However, the DITA market has well-established competitors and it will likely take some time to build significant new revenue streams with customers and technology partners. In the short term, growth will be primarily driven by sales of Migrate and OptimizeR solutions to new customers and we will be stepping up our sales, marketing and development efforts accordingly. 2019 is going to be a challenging year for the Company, with potential demand, as always, difficult to predict at the current time. 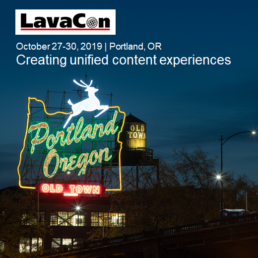 Join us in Portland, Oregon for this year's LavaCon conference! LavaCon started in Hawaii (hence the name) to give senior content professionals an opportunity to stay ahead of rapidly changing publishing technology and customer demographics. However, LavaCon is more than just a conference. It’s a place where content rockstars gather to share tribal knowledge, network with peers, and build professional relationships that will last for years to come. We are entering a new era of content consumption where customers expect personalized content. See how leading companies are seamlessly delivering technical, marketing, and AR/VR content to improve the customer experience (and generate revenue in the process). Visit the conference website for further information and to register. Stilo announces version 3 of AuthorBridge with a live demo broadcast Jan 29, 2019. Since its inception, AuthorBridge has provided SMEs with a truly unique guided and fluid authoring experience. Specifically designed for users with no knowledge of DITA or XML, it has helped organizations rapidly roll out DITA authoring to non-ID professionals in marketing, engineering, training and support. To do this well requires sophisticated DITA content processing 'under the hood' and this is where AuthorBridge excels. Watch the webinar recording (registration required) and see first hand why AuthorBridge v3 is the most full-feature, user-friendly DITA authoring tool on the market. Web-based authoring tools are improving all the time, but with the upcoming release of AuthorBridge v3, Stilo is setting new standards for ease-of-use and performance for SMEs in DITA authoring environments. Since its inception, AuthorBridge has provide SMEs with a truly unique guided and fluid authoring experience. Specifically designed for users with no knowledge of DITA or XML, it has helped organizations rapidly roll out DITA authoring to non-ID professionals in marketing, engineering, training and support. To do this well requires sophisticated DITA content processing ‘under the hood’ and this is where AuthorBridge excels. Want to see all this in action? 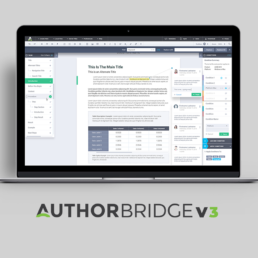 Join Stilo’s VP of Development, Patrick Baker, for this demonstration of AuthorBridge and see first hand why AuthorBridge v3 is the most full-feature, user-friendly DITA authoring tool on the market. 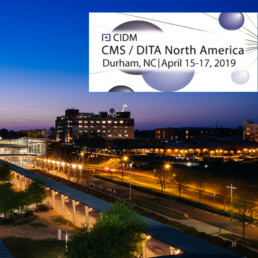 Stilo is pleased to once again be one of the sponsors of the 2019 Content Management Strategies/DITA North America conference being held in Durham, North Carolina from April 15-17, 2019. Join colleagues from around the world for three days of career-empowering knowledge, practices, networking, and practical solutions. The Content Management Strategies/DITA conference offers many unique networking opportunities! Meet publications professionals who have implemented content management strategies and the OASIS DITA standard in their organizations. Hear from key tool developers who are actively supporting the standards-based community. Find out more about Content Management Strategies/DITA North America 2019 and register. For most subject matter experts, authoring rich semantic content is considered too difficult. The prospect of learning DITA is something they have little or no tolerance for, they typically want to continue authoring in Word, or a Word-like authoring environment, and understandably don’t want to learn about XML. This was the problem faced by the central ID Tools team at IBM—led by Mike Iantosca. 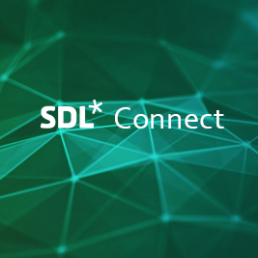 With more than 5 million DITA topics and thousands of content contributors, they needed a low-cost, easy-to-use structured authoring tool that would win over the occasional contributors without compromising on structure – so they collaborated with Stilo on the development of AuthorBridge. Join us for this session to learn from Mike about the implementation of AuthorBridge at IBM—he’ll touch on the integration with their CCMS and how users were able to virtually walk-up and use with minimal training, as well as the wider business benefits for intelligent content authoring. Stilo’s Patrick Baker will follow-on from Mike to provide a live demonstration of AuthorBridge and talk about the unique architecture that makes all the above possible, as well as highlight significant new features for 2019. Reuse is one of the key business drivers for the adoption of a structured markup publishing model such as DITA. The ROI potential is compelling in today’s resource strapped technical product documentation environment, imagine being able to reduce the volume of content writers must maintain by 30, 40 or even 50 percent! 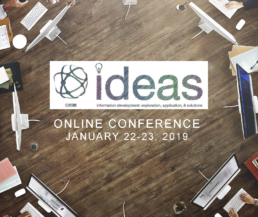 IDEAS is a two-day industry conference brought to you by The Center for Information-Development Management (CIDM) that you can attend virtually from the comfort of your own office. The conference includes five 60-minute concurrent sessions in two tracks, giving you a choice of 11 unique presentations. Participate live according to the published schedule or watch a recording of any session when it’s more convenient for you. Stilo will be presenting a tools session on Tuesday, January 22, 2019 at 12.30 - 1.30pm PST - introducing OptimizeR - a new content optimization service that analyzes your DITA content collections for exact and near-exact matches and identifies reuse opportunities at topic and element levels. Following review, it automatically deduplicates content, updates the associated conref libraries and ditamaps and provides a report of all changes that have been implemented. Find out more about the conference, including the agenda and details of how to register. In this DITA Knowledge Series webinar, Stilo’s Conversion Services Manager, Helen St. Denis, provides a demonstration of Stilo’s Migrate cloud XML content conversion service and OptimizeR, a new DITA content optimization service. Discover just how easy it is to automate the conversion of content to DITA and following analysis automatically deduplicate any replicated content. Migrate is a unique cloud service that enables technical authoring teams to automate the conversion of content to DITA and custom XML from source formats including Word, FrameMaker, Robohelp and XML/SGML/HTML. Migrate provides greater control over conversion quality, immediate turnaround times and operates on a pay-as-you-use basis. OptimizeR is a new content optimization service that analyzes your DITA content collections for exact and near-exact matches and identifies reuse opportunities at topic and element level. Following review, it automatically deduplicates content, updates the associated conref libraries and ditamaps and provides a report of all changes that have been implemented. TransPerfect Medical Device Solutions, the world’s largest provider of language services and process automation technology to the medical device industry, today announced the introduction of its new EnCompass Rapid Prototyping Program. Specifically designed to demonstrate the benefits of XML content management and process automation (including AI-Assist™), the EnCompass Prototype Program provides manufacturers with a working model of MDR and IVDR content compliance and cost savings. The Rapid Prototyping Program combines validated content management technology from Astoria Software, process automation technology from TransPerfect, critical conversion technology from Stilo and information development services from leading consultant Mekon. With only 18 months left before full implementation, the EU’s new MDR and IVDR are a source of stress and concern for global device makers. The new regulations span a number of operational areas and, according to industry consultant, Qserve, will increase both the volume and velocity of content that device makers must manage. The EnCompass Rapid Prototyping Program provides a low-cost, low-risk approach for device makers to test the benefits of XML content management, automated publication, and translation process automation, (including AI processes) for critical device content: IFUs, software UI, websites, e-learning, clinical data, etc. TransPerfect Medical Device Solutions is the specialized medical device division of TransPerfect, the world's largest provider of language services and process automation technology. From offices in more than 90 cities on six continents, TransPerfect offers a full range of services in 170+ languages to clients worldwide. With an unparalleled commitment to quality and client service, TransPerfect is fully ISO 9001 and ISO 17100 certified across all offices. The Medical Device Solutions group is further certified to ISO 13485 and ISO 14971. Astoria Software is an award-winning solution for enterprise content management and a division of TransPerfect. 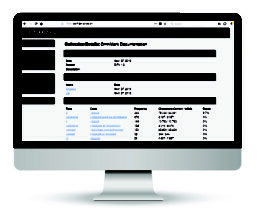 Astoria delivers the most comprehensive on-demand solution for building, managing, and assembling DITA/XML content to satisfy documentation requirements in the software, hardware, medical device, and other discreet manufacturing sectors.